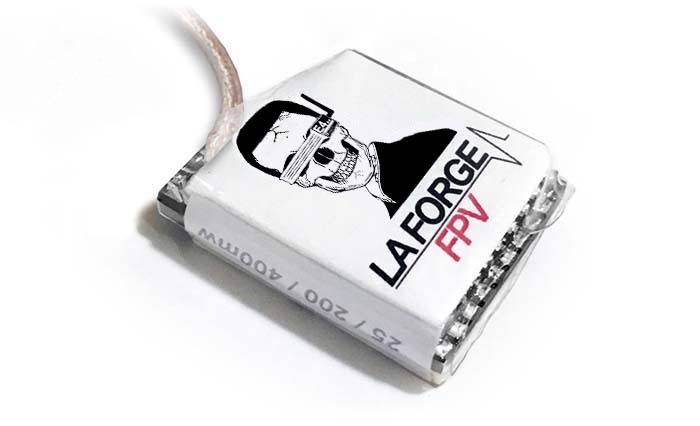 VTX Remote can quickly send settings to any LaForge Transmitting Module. 7/1/2016 - This product has been discontinued and no longer for sale. 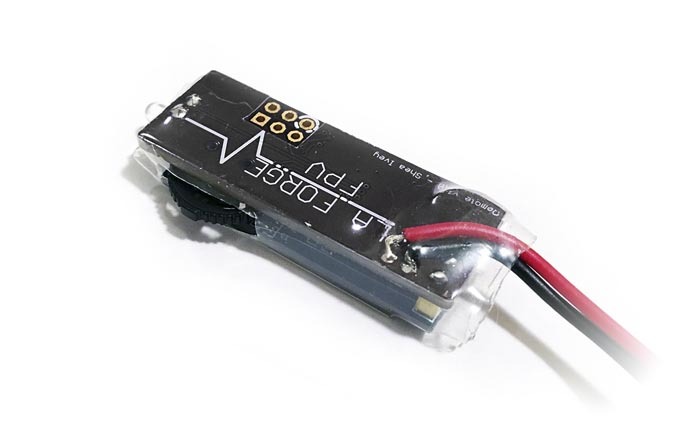 The Remote allows for the fastest VTX channel switching in the industry. Specially designed with race day officials in mind, the remote brings a new level of control an events RF spectrum. 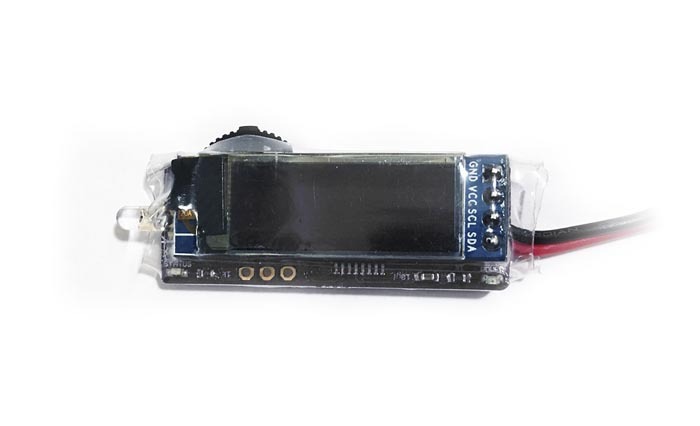 With IR (infrared) technology you can quickly switch any setting on your Transmitting Module. Quickly transfer all settings to the Transmitting Module with our Quick-Bind infrared protocol. Simple three button jog switch makes quick work of changing settings. 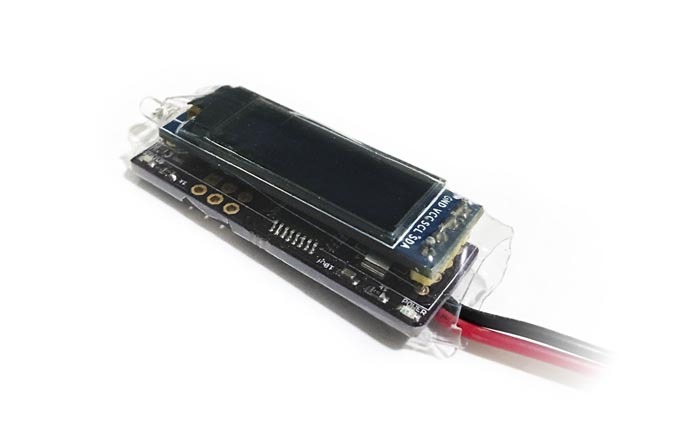 Crystal clear 128 x 32 pixel OLED can be seen in daylight and night. Indicates steady power in red and status in blue. Requires line of sight to the VTX IR detector. Short operating range of 0-40mm. Payload sent 4 times every second. Save Channel Startup with last saved channel and settings. Settings Menu Calibrate RSSI, set call sign, frequency order, save. Quick Save Hold select for 2 seconds in manual mode & Search Mode. Manual Mode Set channel manually. VTX Color Set LED Strip color. VTX Audio Set audio on or off. 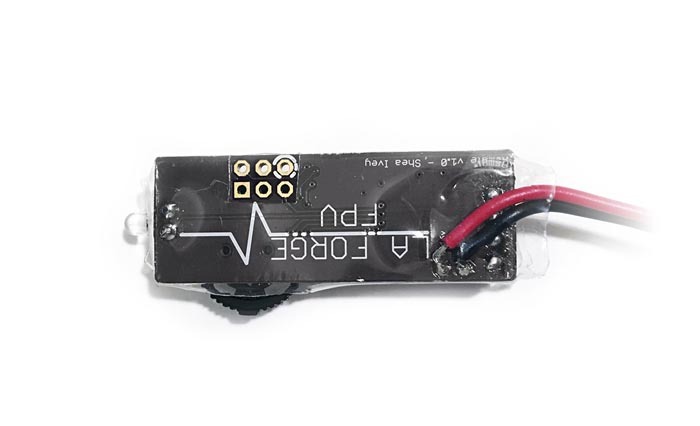 VTX Lockout Prevents power level and channel tampering. * Frequency is outside the "HAM" amateur radio license and can not be used in the USA. ** TX antenna must be installed properly before it is switched on, power on without installed antenna, or a improper antenna was used may easily burn the TX, and such damage is not covered. *** The use and operation of this type of product in the USA and many other countries may require a license and some countries may forbid its use entirely. In the USA, you will need a "HAM" amateur radio license. Learn more about HAM licenses. It is your responsibility to ensure that the use of this product meets the requirements imposed by your government's rules and regulations for RF devices. Do not purchase this product if you are unsure of the government requirements or are not able to comply with them. 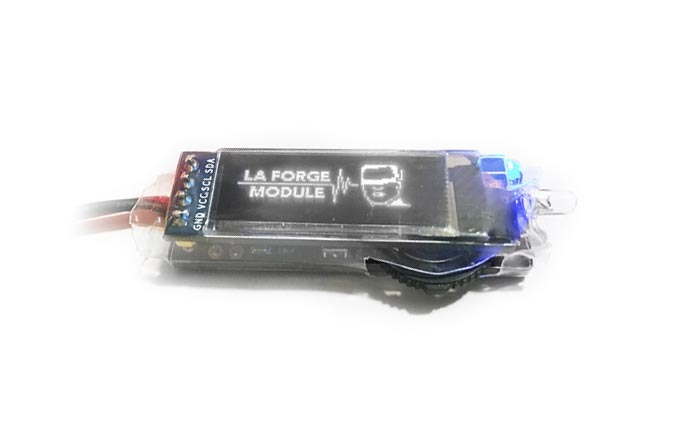 La Forge FPV cannot be held responsible for your actions if you purchase and/or use this product in violation of your government's regulations. By using our product, you agree to have read and to understand this notice. TX 5.8Ghz video transmitter with quick bind technology and accessory port.